We’re providing new energy efficient light emitting diode (LED) lighting across the city. 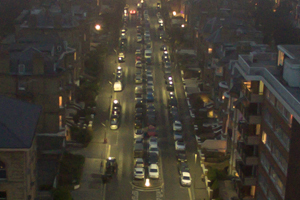 In 2017 we began a three year project to replace more than 18,000 lighting points in Brighton, Hove and Portslade. The upgraded lights will eventually save the council around £200,000 a year in energy savings. The council is currently carrying out structural testing of all street lighting columns in the city. Installation of new LED lighting is due to start in Portslade in May. The new lights emit a white light which allows objects and people to be identified more easily compared with the light from a traditional lamp. We successfully bid for a £7 million loan from the Public Works Loan Board. The loan will fund the scheme which is also funded by £900,000 from the Local Transport Plan. The money saved in energy and carbon costs will be used to repay all the investment. Most of the city’s street lamps will be replaced with a new LED (light emitting diode) light fittings. In some cases, we may need to carry out additional work such as repairing or replacing lighting columns. This project does not include any plans to remove any of the city's historic cast iron columns. We may need to change the positions of some street lights. New lighting designs will make the most of the new technology that is available. Yes. All the lanterns that can be upgraded in the city will be changing to a new white light, if they have not already been changed. There are some heritage lanterns where it will not be possible to upgrade to white light. We will be replacing 18,000 lights in addition to the 3,200 which have already been replaced. What about the historic cast iron columns? We do not have any plans to remove any of the cast iron columns. Any removal will be due to structural failure. The street lighting team is committed to retaining our cherished lighting units. The heritage large cast iron columns on the seafront are not part of this scheme. Are there plans to dim lights at night? Dimming has been trialled, but the cost savings in energy is far outweighed by the cost of installing dimming. As a result we will not be including dimming in this project. 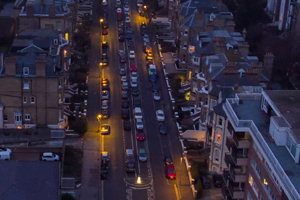 We aim to make sure existing street lights remain lit until the energy supply is switched across to the new lights, or the new lantern is installed. Will there be any differences to the lighting? The new white lights will concentrate light on the road and footpath areas, reducing light pollution in surrounding areas. Colour is also enhanced so faces and objects are easier to identify. What if the light shining into my property is too bright? We are expecting to see an average saving of 50% of the energy used by one of the existing street lighting fittings, in many cases the savings will be higher.